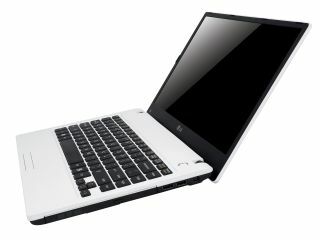 LG has announced the P210 and P420 laptops – suggesting that the new laptops set a 'new standard' for compact notebooks. Both models offer a 'sleek, compact and lightweight frame, with the P210 offering a 11.6 inch screen and the P240 a 14 inch screen. "A crystal clear HD LED LCD display adds to the enjoyment by bringing TV-standard graphics onto a notebook screen," teases LG's release. The P210 weight in at 1.3kg and boasts a Core i3 or i5 along with up to 4GB memory. The P420 has a generation 2 Intel Core i5 processor and up to 8GB of memory as well as an Nvidia GeForce GT520M graphics card. "LG is proud to introduce this exciting new line-up of award winning and innovative notebooks," said J.J Lee, EVP and Head of LG Electronics PC Business Unit. "LG P210 recently won an iF (International Forum Design Award) and the P420 display's LG's unique DNA design. Together with the A520, the 2011 line-up of notebooks provide durable technology with next generation performance capabilities."